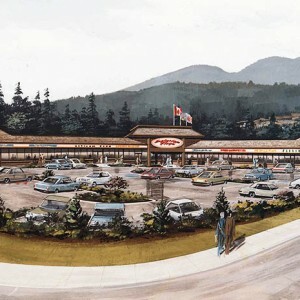 Originally built in 1960s anchored by Safeway, the rapid expansion in the neighbouring area provided the opportunity to redevelop, expand and release the 71,000 sq. ft. Seafair Shopping Centre. PCI did this in phases so as to keep existing businesses operating. Tenants included Safeway, drugstore, BC Liquor Store. PCI did this on behalf of a private investor client.